The PGC–PTSD Methylation Workgroup has, as its goal, the creation of a large PTSD-focused methylation data set that can be used to identify whether gene expression or methylation act as mediators of the association between SNPs and PTSD risk as well as identifying PTSD-relevant eQTLs and meQTLs that can be examined for association to PTSD and trauma exposure. Standalone genome-scale studies of PTSD epigenetics have provided insight into molecular dysregulation associated with the disorder. Epigenetics provides a molecular context to GxE interactions by offering a biological mechanism through which gene expression can vary in response to an environmental exposure. Genetic variation has been shown to influence DNA methylation and gene expression levels, often in tissue-specific and developmental stage-specific manners; so-called methylation trait quantitative loci (meQTLs) and expression trait quantitative loci (eQTLs) have been identified across the genome in numerous studies to date. Genome-scale studies of PTSD-associated meQTLs and eQTLs focused candidate gene studies have revealed notable examples of each. Within the PGC–PTSD, there are several groups with both genome- wide genotype and methylation data, with a current total n=1114. Dr. Uddin is Associate Professor of Psychology at the University of Illinois Urbana- Champaign. Dr. Uddin’s research group focuses on investigating the molecular underpinnings of stress-related mental disorders, with a particular emphasis on post-traumatic stress disorder (PTSD). She seeks to identify genetic, epigenetic, and other biologic signatures associated with risk for, and resilience to, mental illness using samples drawn from both clinical and community-based settings, with the ultimate goal helping to inform interventions that will reduce the burden of mental illness. Dr Uddin’s work is inherently interdisciplinary, drawing on tools from diverse fields such as genetics and genomics, psychology, psychiatry, and epidemiology, among others. 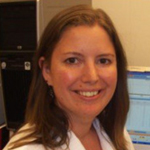 Major areas of her current research include: characterizing genomic phenotypes of mental illness; delineating the epigenetic changes induced by traumatic stress; identifying gene- and epigene- environment interactions in psychiatric disorders; elucidating the underlying molecular etiology that links mental and physical disorders; and investigating molecular contributions to mental illness that may vary across development. 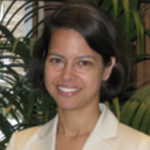 Dr. Smith is Assistant Professor of Psychiatry and Behavioral Sciences at Emory University. Dr. Smith also directs the Human Psychiatric Genetics Laboratory, a collaborative resource for the Department of Psychiatry & Behavioral Sciences. Dr. Smith studies the role of genetic and environmental factors in the development and symptoms of stress-related disorders across the lifespan. 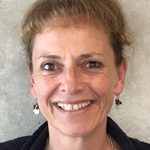 She uses a number of complementary approaches including bioinformatics and genome-wide evaluations of sequence variants, DNA methylation and gene expression to explore i) how prenatal exposures influence the risk for developmental and behavioral problems during childhood and ii) how early life stress influences the risk for developing adult psychiatric disorders, such as PTSD or perinatal depression and iii) how medications or biologically active chemicals induce behavioral responses such as depression, fatigue or suicidal ideation. It is designed to assist in the development and implementation of grant-funded genetic collaborations and to support the development and training of students and fellows.